Juan Manuel Baraona at International Tax Review | Baraona Fischer & Cia. 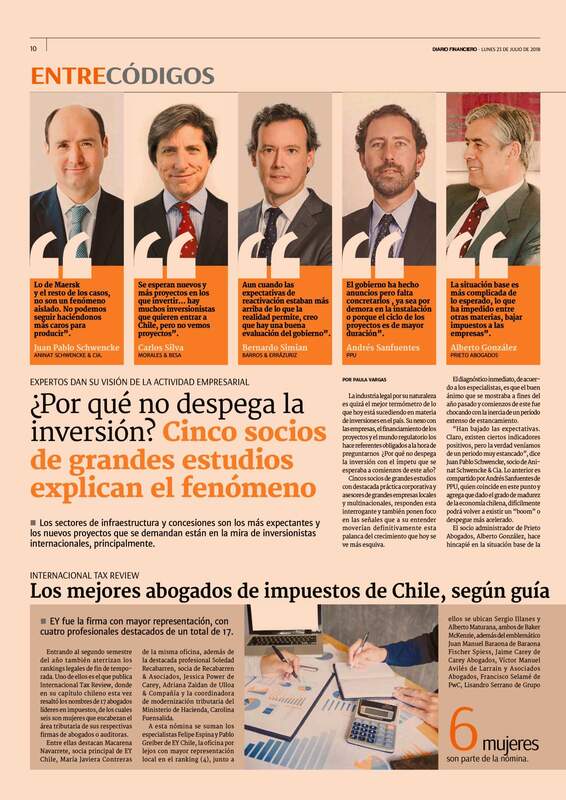 Our partner was distinguished by this guide as tax leader in Chile. Diario Financiero highlights the chosen ones in a press release. Subscribe to our email list to receive updates, legal alerts and information of events organized by our study. You can unsubscribe when you want. This site contains copyrighted material, the use of which has not always been specifically authorized by the copyright owner. Baraona Fischer & Cia. states that they’re using this material as part of their efforts of making such material available to the public for the advancing of the understanding of legal and regulatory issues. The authors of each entry give personal opinions. The contents do not constitute or replace legal advice, posts are not intended to be technically accurate or complete. Baraona Fischer & Cia. is not responsible for the content of blogs, nor for web pages with links or links to or from our site.